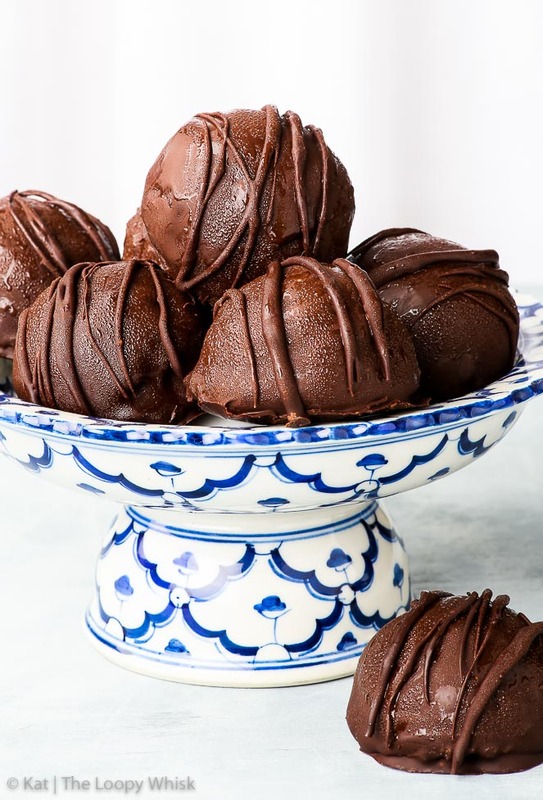 A simple and healthy recipe for no-bake pumpkin truffles, which couldn’t be more scrumptious if they tried. 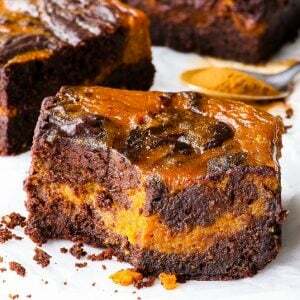 Vegan and paleo pumpkin filling meets a coating of dark chocolate, making them the perfect healthy fall dessert. I’m wearing Christmas socks right now. Just thought you should know. I don’t even have the excuse of grabbing them in the dark and not knowing they were Christmas socks. They were chosen in a state of full awareness… well, as much awareness (and alertness) there is before 8 am. I know it’s only October, but I also know that I’ve already heard Christmas commercials on the radio… and I also know that I’ve already started humming Christmas songs. Actually that last thing started happening in June. Hey, it’s not my fault that “Rudolph the red nosed reindeer” is such a catchy tune! 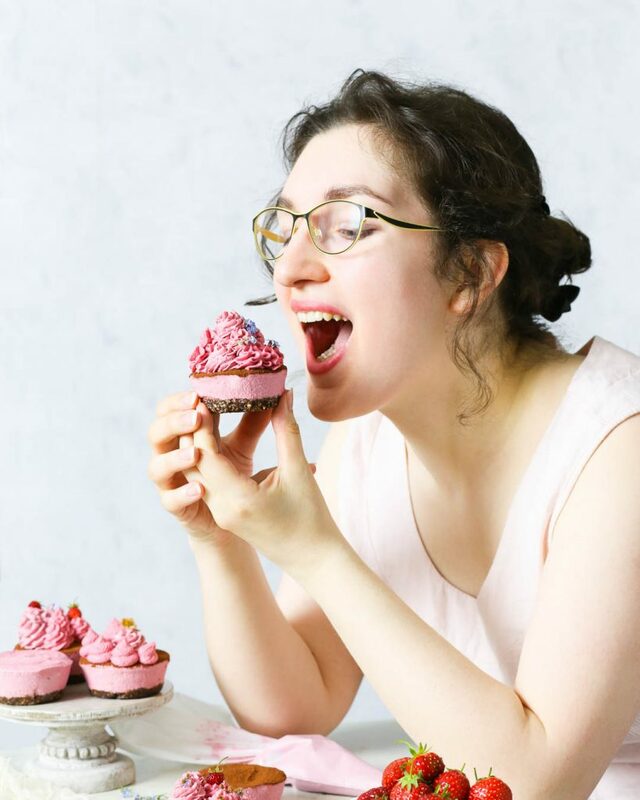 But because it’s only just October, we won’t talk about candy canes and gingerbread today. But… soon, okay? Instead, it’s (*drumroll*) pumpkin time. Again. But, come on, there’s no such thing as too many pumpkin recipes. Right? Right. 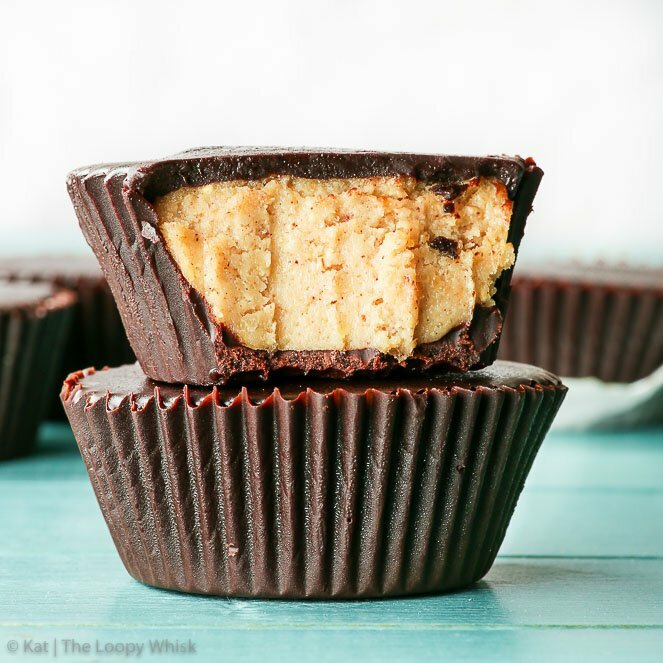 We’re totally rocking the vegan & paleo vibe today with these super delicious gluten & dairy free pumpkin truffles. 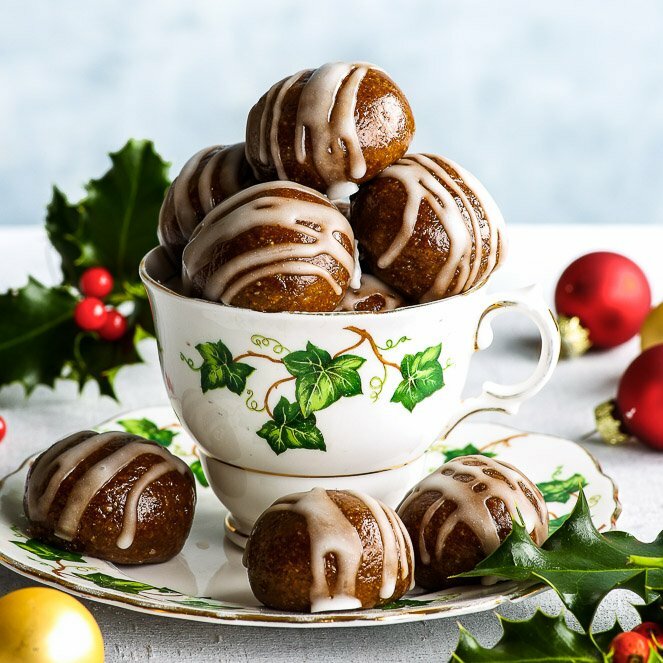 The simplicity of the ingredients allows the pumpkin to shine through in all its glory, making these pumpkin truffles the perfect fall season treat – healthy, sweet and super duper yummy. And the chocolate coating… Well, it’s chocolate. What’s not to love? 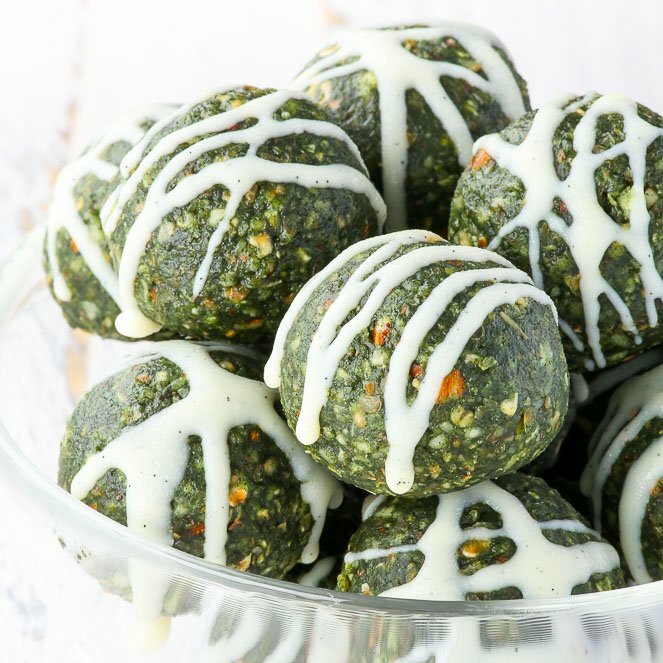 So there you have it – a simple and healthy recipe for no-bake pumpkin truffles, which couldn’t be more scrumptious if they tried. And when you’re stuffing your face with them (yes… WHEN… because, let’s be honest here, it’s inevitable): bonus points if you hum Christmas songs at the same time. 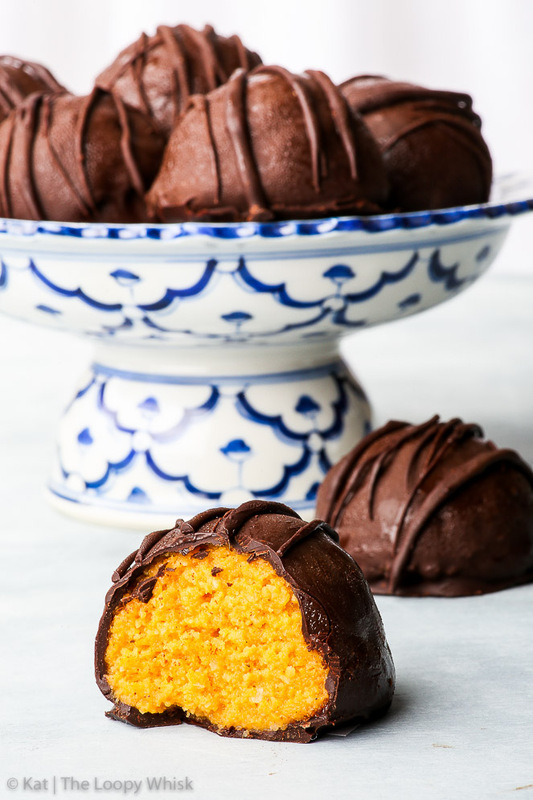 A simple and healthy recipe for no-bake pumpkin truffles, which couldn’t be more scrumptious if they tried. Vegan and paleo pumpkin filling in the centre with a coating of dark chocolate. The perfect healthy fall dessert. In a bowl, mix together all pumpkin truffle ingredients (except melted chocolate), until you get a homogeneous mixture. 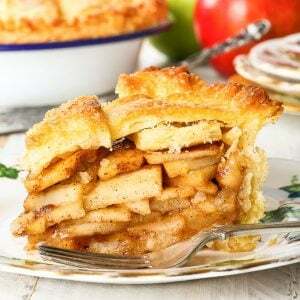 To get the sweetness just right for your taste, add the maple syrup gradually and taste as you go. Using an ice cream scoop, scoop out the mixture and place the individual scoops on a baking sheet covered with cling film. Once the baking sheet is completely covered with pumpkin truffles, freeze them for at least 20 minutes. 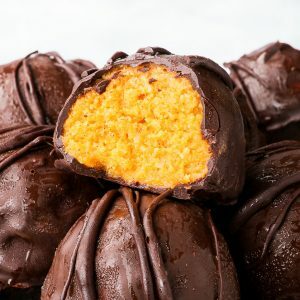 Once the pumpkin truffles have frozen and feel firm to the touch, dip them into the melted chocolate, and (using two forks) toss them around in the melted chocolate until completely covered. Once coated, place the pumpkin truffles back onto the baking sheet. 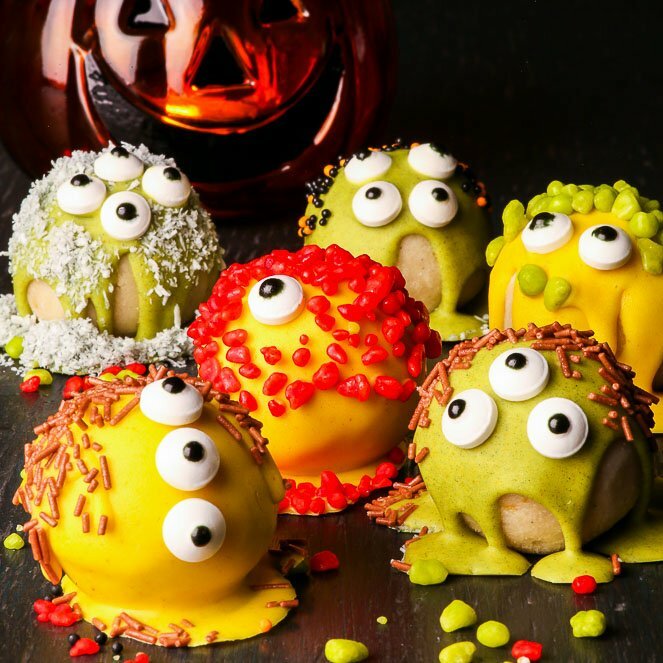 Drizzle the chocolate-covered pumpkin truffles with a bit of melted chocolate for decoration. 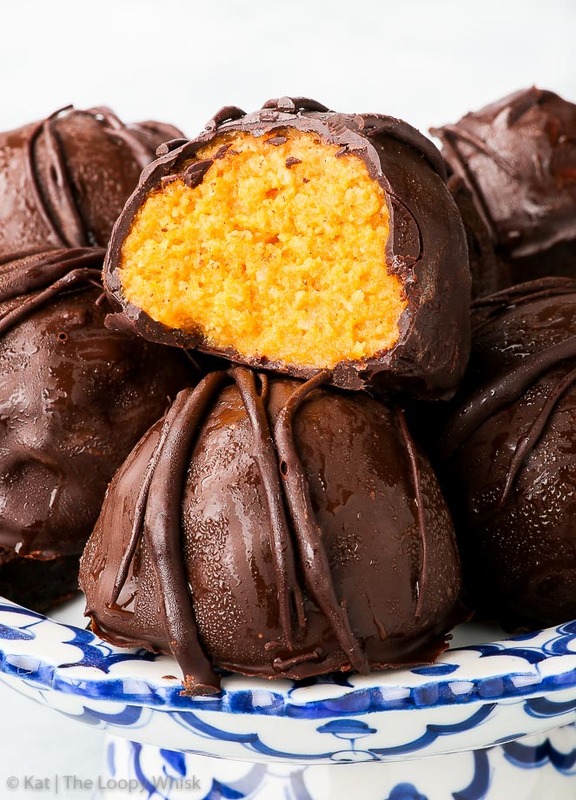 Place the chocolate-covered pumpkin truffles into the fridge or freezer until the chocolate has solidified. The pumpkin truffles keep well in a closed container in the fridge for about a week, and in the freezer for 3 - 4 weeks. 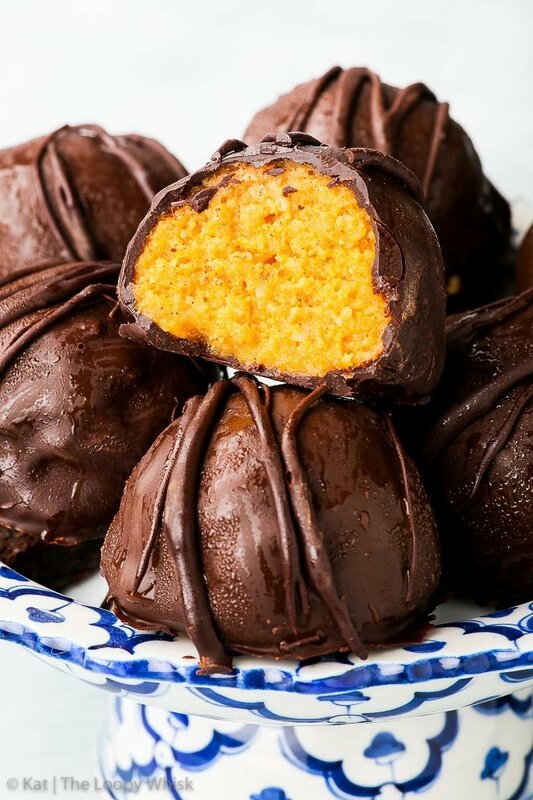 If kept in the freezer, thaw the pumpkin truffles for a few minutes before eating. 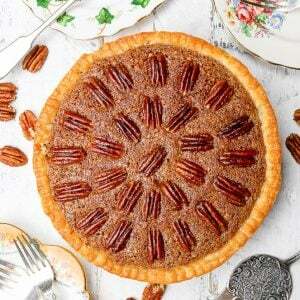 Looking for more fall dessert inspiration? You’re in the right place!